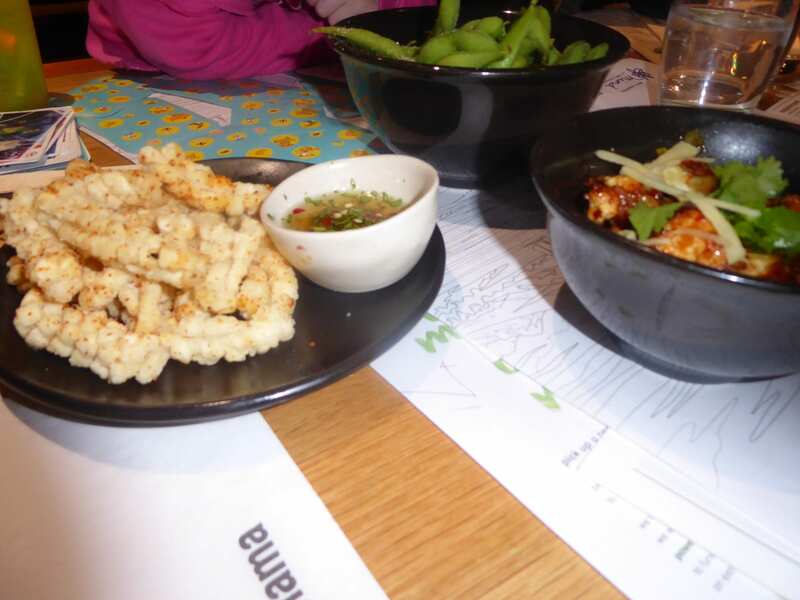 Home » children » Comments » cookery » Featured Articles » UK » Wagamama – a New Dining Experience! 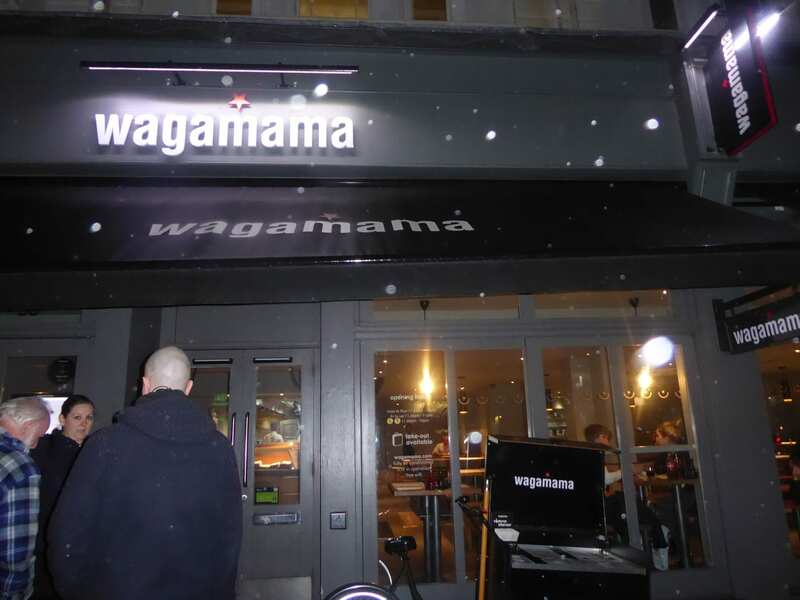 I knew the name Wagamama and had often passed one of their restaurants in different towns. I’d glanced at one of their menus displayed outside, and not understood a word of it! As you know, Dear Readers, I love food and new experiences. So why had I never tried Wagamama? Answer, no idea. I’d always been in a hurry and gone somewhere else. 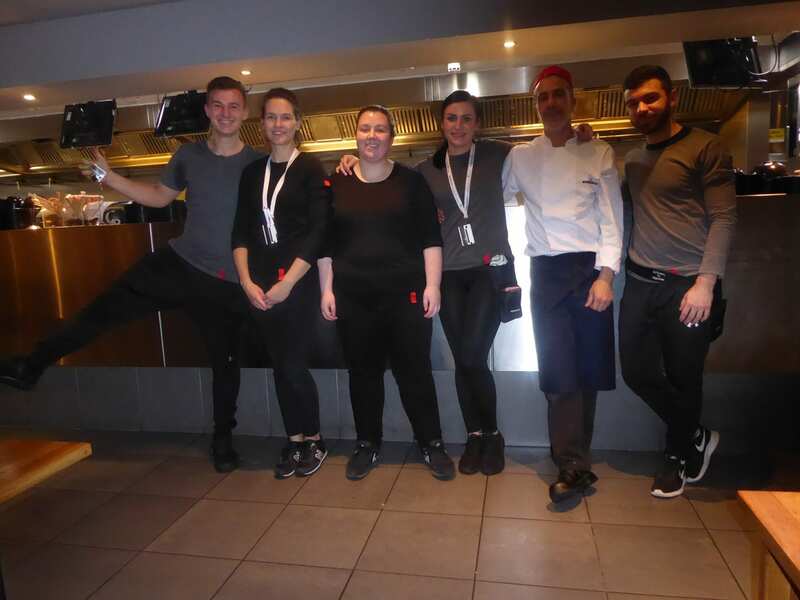 Last Tuesday, we all decided to try the Tunbridge Wells Wagamama. Daughter Rana had been there several times and raved about it. She’s a vegan and they have a vegan menu. They also have a children’s menu with a much larger choice than you usually find for children. We were warmly greeted and shown to our seats. Wagamama has long tables and benches, so it’s communal eating. We were early so it was quite empty. 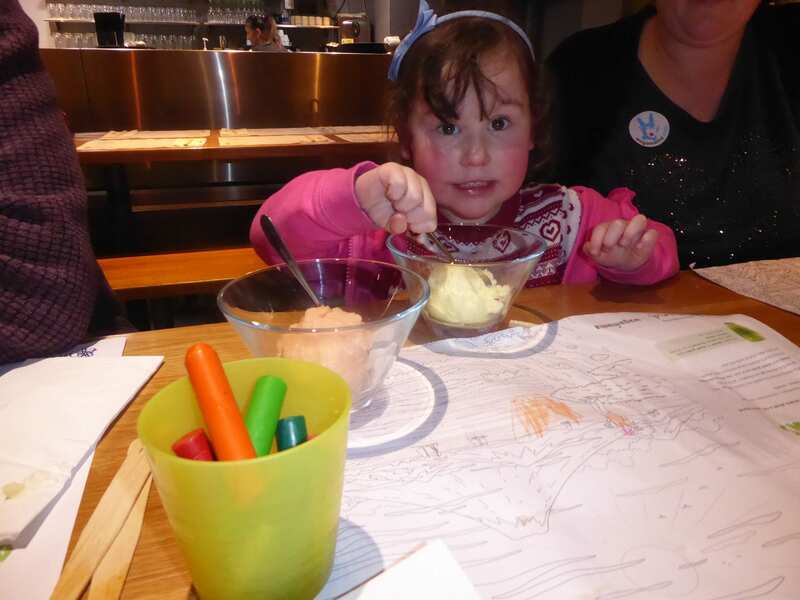 The placemats are Japanese designs to colour in with crayons supplied – for any age, so little Isabella, aged 4, settled down to draw some pictures, helped by Vladka, the assistant manageress for the evening. 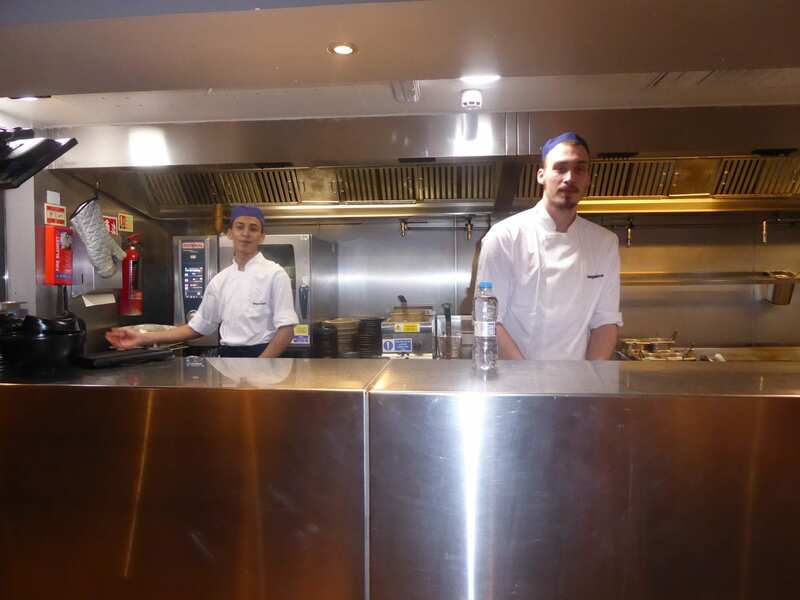 A row of chefs cooks everything in front of you and the food is served as soon as it’s ready so that it doesn’t sit on the counter waiting for the other dishes. Daughter Rana, partner Dom and Isabella chose from the vegan and Vegetarian menu, and John and I had the normal menu. We all had a side dish. Dom loves hot, spicy food and he ordered the Bang bang cauliflower; crispy, wok-fried cauliflower coated in firecracker sauce, mixed with red and spring onions, garnished with fresh ginger and coriander. £4.75. I’ve never tasted such interesting cauliflower! It had an after-kick. Isabella and Rana dipped into a large bowl of Edamame; steamed edamame beans served with salt or chilli garlic salt. £4.50. I didn’t try them as I find edamame beans a bit bland. Rana had two Mixed mushroom and panko aubergine hirata steamed buns; two small, fluffy Asian buns served with coriander. £5.50. I had Tori Kara Age; seasoned, crisp chicken pieces dressed in and served with a spiced sesame and soy sauce, garnished with fresh lime. £5.75. Mostly I had them to myself, with John dipping in. They were cooked perfectly. John went for the squid, as he usually does if they’re on a menu. It was Chilli squid; crispy fried squid dusted with shichimi (I’ve no idea what it is) served with a chilli coriander dipping sauce. £6.75. I didn’t expect it to be so tasty! I had several pieces. 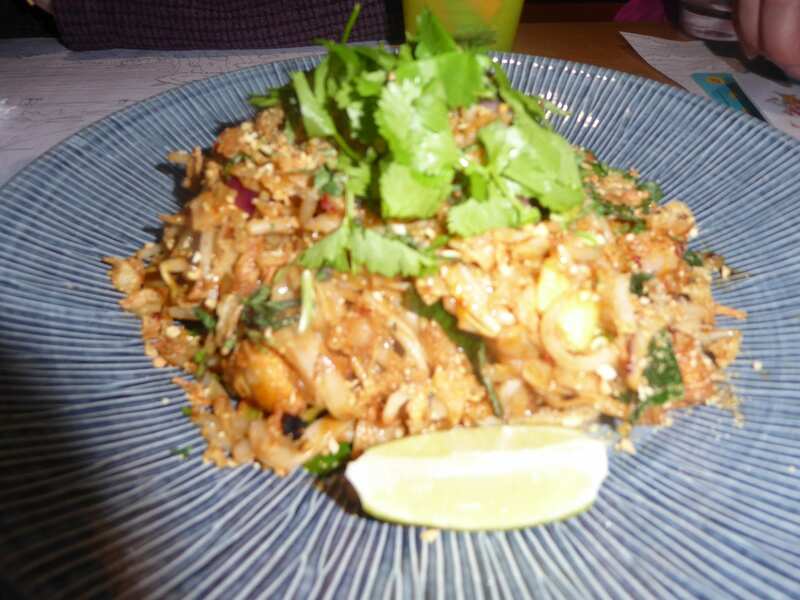 For our mains, Dom had Yasai Pad Thai; rice noodles in an amai sauce with tofu, egg, beansprouts, leeks, chilli and red and spring onions, garnished with fried shallots, peanuts, mint, coriander and fresh lime. Dom’s Vegetarian, not Vegan, so he eats eggs. He said that all the flavours compliment each other and he loves the crispy tofu. £9.95. 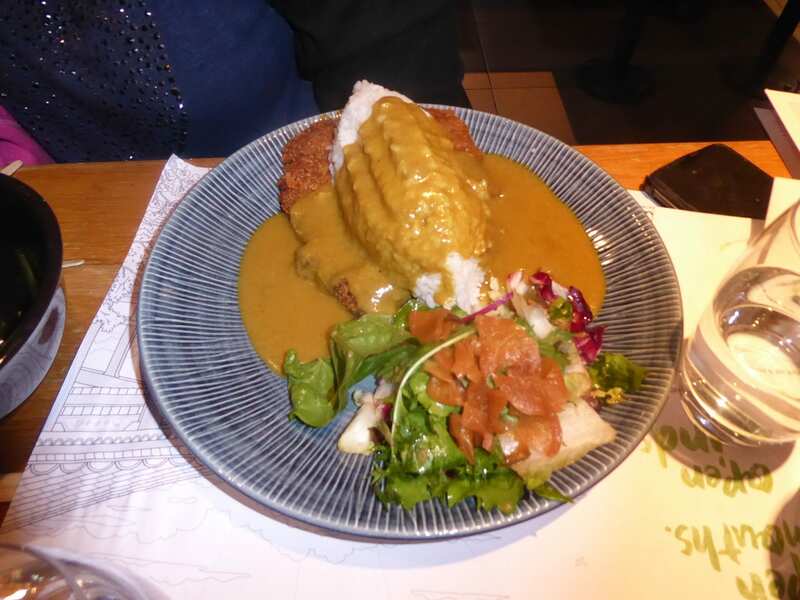 Rana had Vegatsu; a Vegan katsu curry, seitan coated in crispy panko breadcrumbs covered in an aromatic curry sauce with sticky white rice and a seasoned side salad. £10.75. I asked her what she thought of it, but she just murmured ‘Delicious’ and carried on eating. 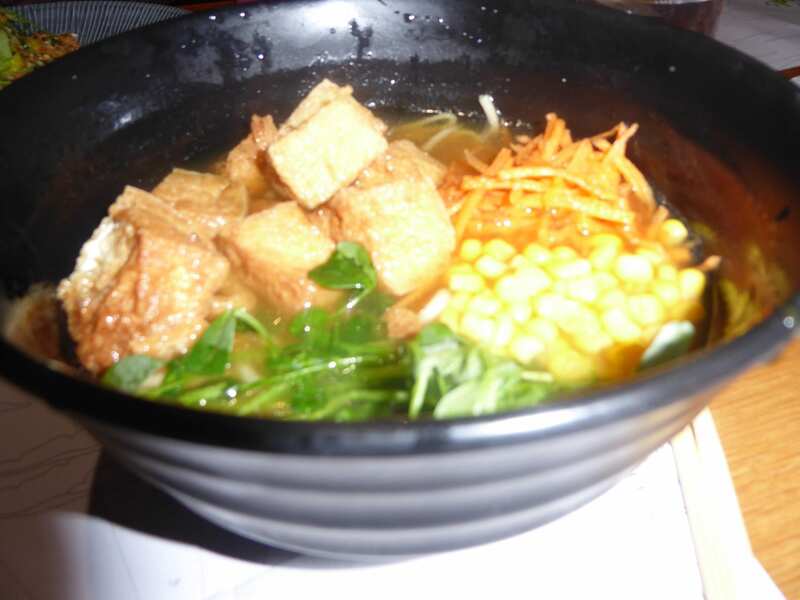 Isabella had a Vegan dish from the Children’s menu; Mini yasai ramen; Noodles in a vegetable soup topped with fried tofu, seasonal greens, carrots and sweetcorn. £4.50. 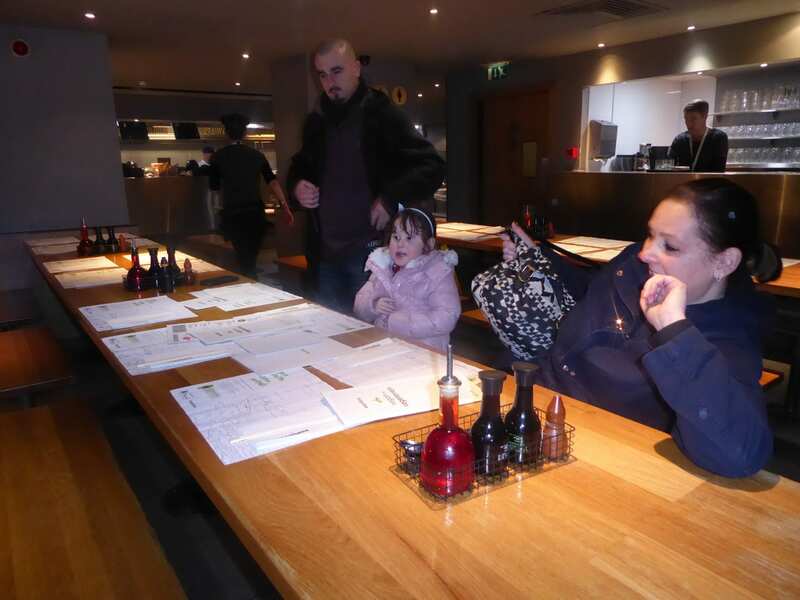 Wagamama has children’s chopsticks, and Isabella mastered the use of them very quickly! The children’s dish was so big that Rana had it packaged up as a takeaway for the lunch the next day. 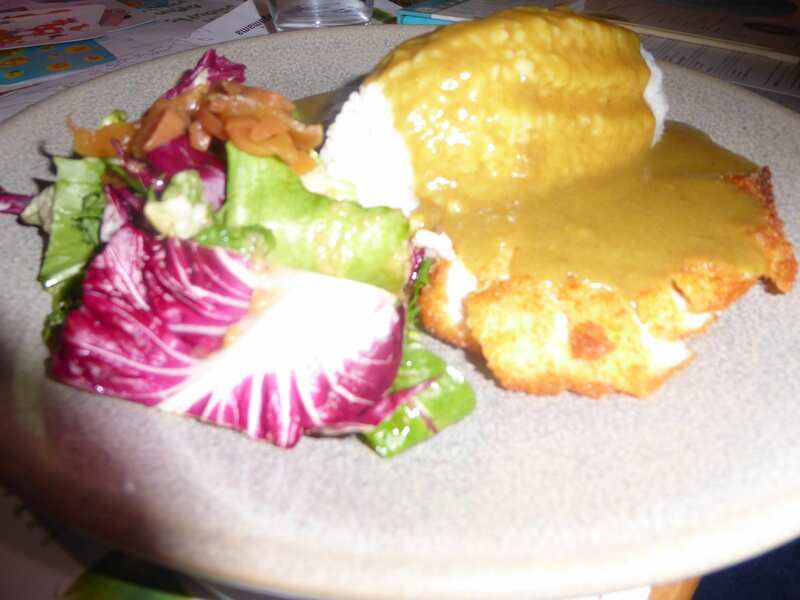 John had the Katsu Curry, which Beth said is Wagamama’s most popular dish. It’s chicken or vegetables coated in crispy panko breadcrumbs, covered in an aromatic curry sauce, served with sticky white rice and a dressed side salad. He said the combination of flavours were wonderful! £10.75. 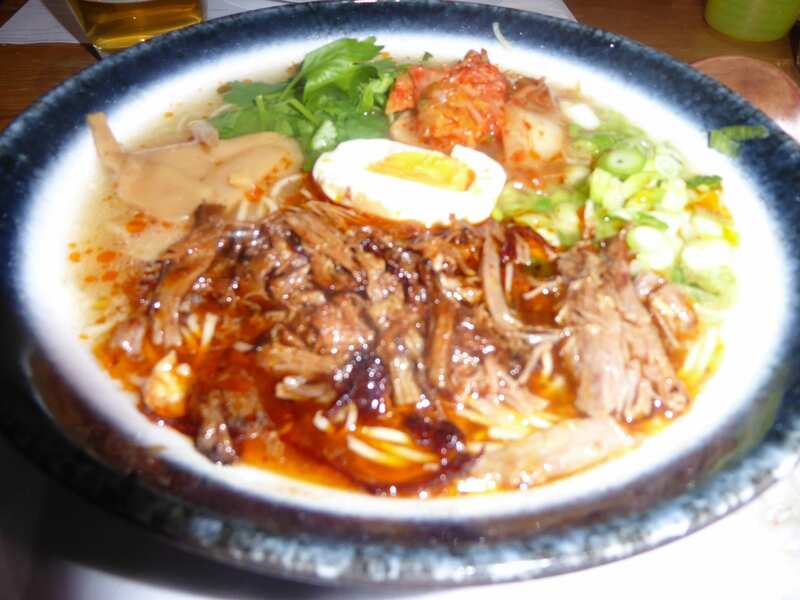 I had Tantanmen beef brisket ramen; a Korean barbecue beef brisket served on a bed of noodles in an extra rich chicken broth, topped with half a tea-stained egg, kimchee and spring onions, finished with coriander and chilli oil. £13.50. This was eaten with my napkin boldly tucked under my chin to avoid dribbling down my front! It was like a clock of flavours, each spoonful holding a different taste. The dish was a joy to look at, colourful, and to be savoured, not to be hurried. My one criticism? I couldn’t see the point of the tea-stained egg. The bottom didn’t show and it tasted just like any hard-boiled egg. The dessert selection is very basic, and we were all far too full to try one – except Isabella, who was presented with not one, but two sorbets! One was pink guava and passion fruit, and the other was Lemon grass and lime. And guess what? Suddenly we all found gaps to try them. They were made for Wagamama and they were absolutely gorgeous! 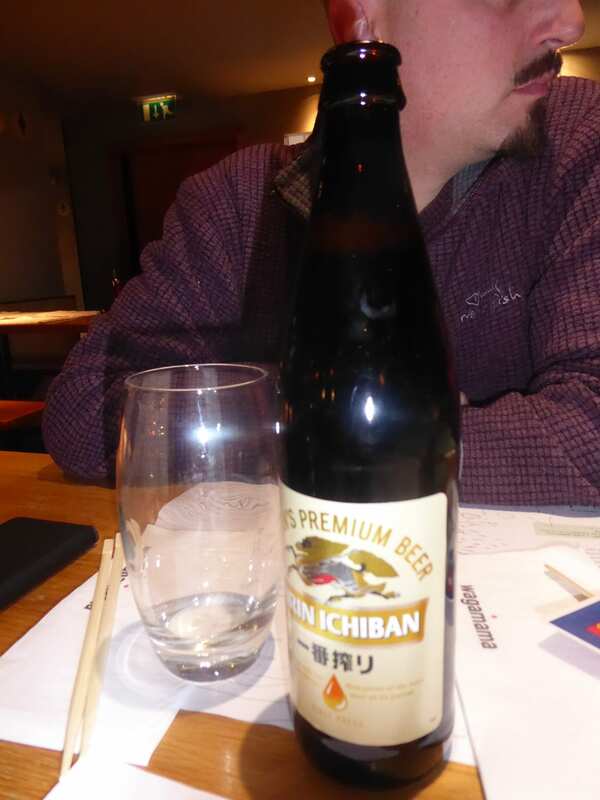 To drink, Dom had a Japanese beer. I had a rose wine, and everyone else had water. Wagamama does a large selection of colourful fresh juices, both fruit and vegetable. We all had a great evening. In fact, I’d give it 10/10 and we’ll definitely go back there. Everything was perfect and ran like clockwork. 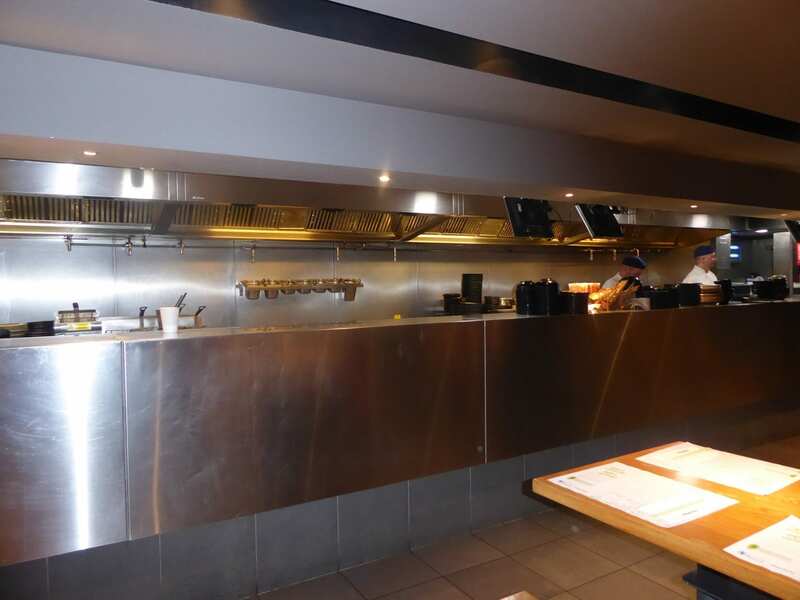 The food appeared quickly, but I wouldn’t describe Wagamama as a fast food restaurant. It’s much more fun than that. It’s a place to socialise and enjoy the experience.